Gangtok: How do insects fly? Why does ginger have wrinkles? Why does chilli cause so much pain? Questions like these often crop up in the minds of young school children, but they may not find answers to such questions in their textbooks. Addressing such questions not only satisfies their curiosity but also sensitises them about science in everyday life. Along with the quiz, parallel sessions were held for hands-on activities on different topics such as biodiversity, earthquake, physics and chemistry. A nature walk was also orgnanised for students where they went out and learnt more about biodiversity. There was a lecture on career prospects in science by Dr Shibaji Raha, former director, Bose Institute, Kolkata. 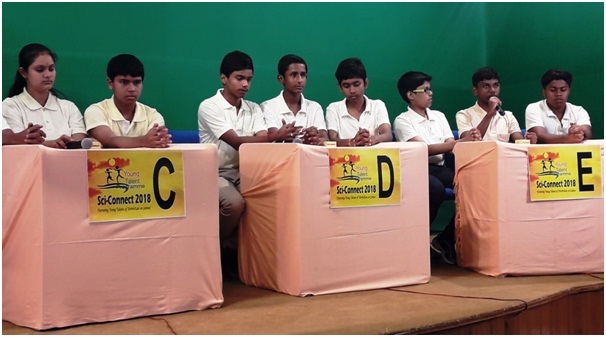 “The programme has been designed keeping four components in mind – excitement, entertainment, knowledge and orientation towards science,” explained Sachin C Narwadiya, scientist, Vigyan Prasar. Last year, he said, 6000 students had participated while the number has gone up to 9000 this year. This shows that the northeast is responding well to the programme and to science education.